Have you ever considered having a photographer at a funeral ? Your initial reaction may be a negative one, but in many parts of the world this is common practice. We photograph every moment in our lives why not the close of our lives as well. 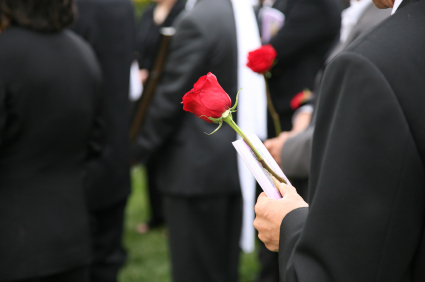 Funerals and memorial services are the final major event in a persons life. This is the final milestone in your family member's life and a last opportunity to pay tribute. Why not tastefully capture these moments so the memory can continue? A funeral may be the end of life but it also marks the beginning of a new one for those who are left behind. This is a day where people will share their personal memories. Families from near and far will share embraces, laughter and tears the day may pass by in a blur. Photographs can be a powerful way to capture the emotions of the day. Better to have photographs that you can put away and not look at ,than to later want photographs that were never taken. Positive and uplifting images of an emotional day. A photographer will discreetly record the details that you may be unable to take in with the emotions of the day. Your photography will be discrete , sensitive and unobtrusive. A consultation ahead of time will discuss your wishes. I will arrive early at the service to photograph flowers arrangements and pre- service gathering. As this service will be a mix of emotions it is best to announce pre- service that you wished to have a photographer present. Your PRIVACY is of great importance to us and your images will never be used or seen by anyone unless you so choose. Due to the unexpected time frame, this service is subject to availability. Services offered exclusively with LeClair Cremation Centre.